Ran a few miles with Grant and Craig. Another few miles just with Grant. By Sorn Bridge Grant was 1min up and I was on my own. From Sorn into the next village the lack of signage and marshalling cost me time as I took a number of detours. Further up, the mistake was my own as I followed the ‘walkers’ caravan sign, missing the blue arrow in the other direction. When I finally got back on track I’d lost a load of time and a place (was now in 3rd). Suffered some cramp in my hamstrings. Was trying Elete caps for the first time (rather than zero tabs) but I couldn’t shake it off for the rest of the race. Not sure I’d use them again. 20miles with crampy legs and a load of desire isn’t great. 12 miles to go I caught and passed the 2nd place runner. He looked to be struggling. At the 2nd last CP, I was 15mins down on 1st place but now over 10mins up on 3rd. With approx. 7.5miles to go I ran the next section through the woods pretty quickly (and made up time on 1st place). I met my support with 5miles to go again for another bottle swap. I was stunned to then see the 3rd place runner less than 30s behind me. Must have run like the wind through the forest to make up that time. I picked up my feet again on the hill and with 4.5 miles to go was looking forward to the finish at Dam Park. I half expected a challenge from behind following the amazing pace 3rd place had shown over the previous section but it didn’t come. On crossing under the busy road coming into Ayr again the signs were poor and I ended up in a housing estate away from the river. More time lost but fortunately no place this time. 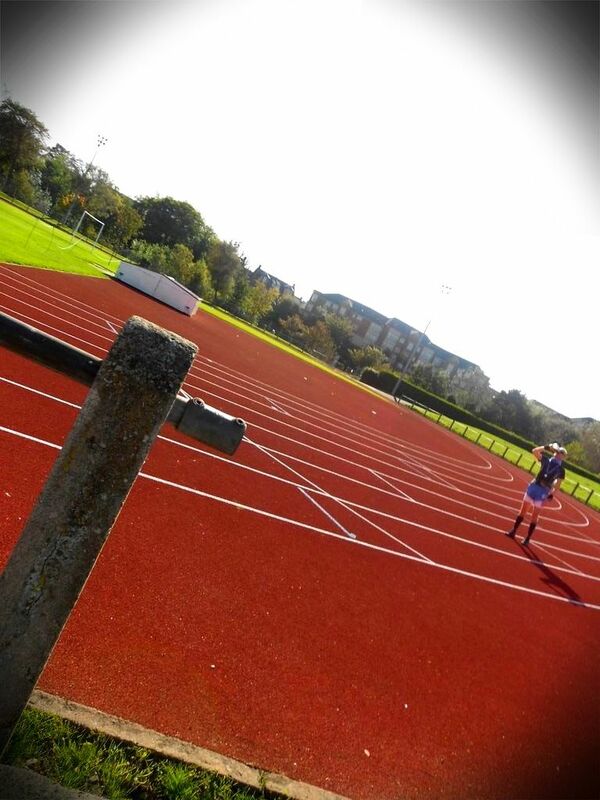 The finish at Dam Park required a 300m run around the track. Felt good to see the finish and the thousands of supporters. Ok, I lie. The dozens…ok, ok…….the dozen or so supporters! My crew were there as they had been all day with everything I needed. We smiled, we joked and we hugged in the sunshine. 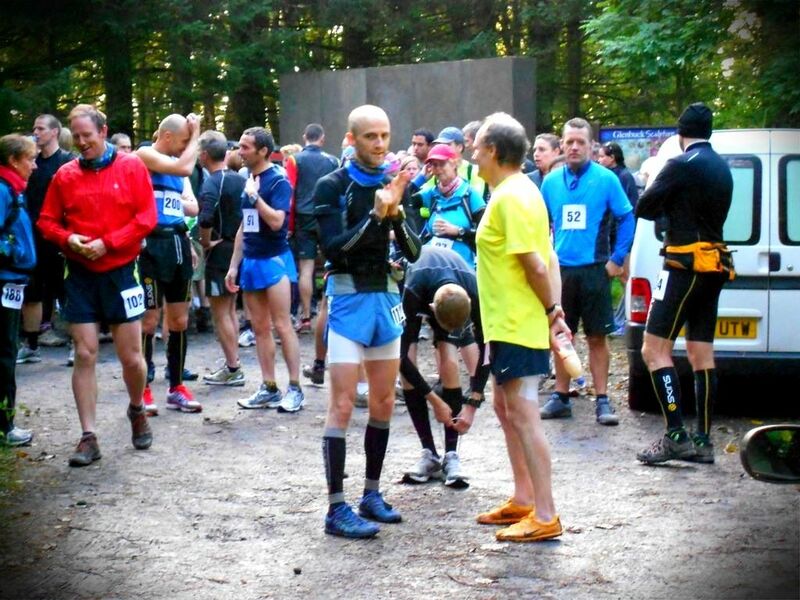 A good day’s racing and I was pleased just to have taken all the difficulties, issues, irregularities and challenges in my stride – lessons learned from previous races!! Getting tougher. Did obviously miss the inside info that only a Mum can procure throughout a race and the sight of my father 500m before a CP with a pat on the back and some electrolytes. I’d also like to thank the lovely Suse (partner of my new running hero Bill ‘Mayfly’ Hutch). As well as some emergency water (after detour 2) I always get a shout and a smile that never fails to lift my spirits. You guys are awesome and a fine example of everything that’s good about the sport and the Scottish Ultra scene. So that’s it, the Scottish Ultra Marathon Series is over for 2011! 3rd place in year 1 isn’t bad. Lots of lessons learned, met some really lovely people, shared some laughs, some tears, stresses and pains. Most of all though, it’s been a way for me to make some precious new memories with my family that we’d never have achieved without this crazy sport. Memories that’ll stay with us forever. So, thank you SUMS – we’ll be back! This entry was posted on September 28, 2011 by pyllon. 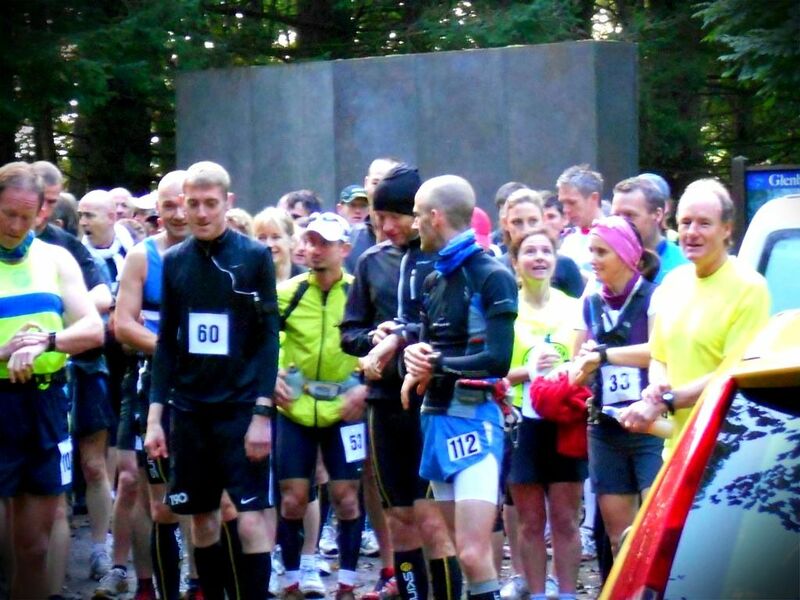 It was filed under 2011, Endurance, F-lite, Marathon, Race, River Ayr Way, Running, SUMS, Trail, Ultra, Ultra distance, ultramarathon and was tagged with 2011, offroad, Paul Giblin, race, RAW, results, River Ayr way, running, SUMS, trail, ultra, ultra marathon. Huge well done Paul, roll on next year!! Maybe switch to Succeed S Caps to stop the cramps, they really do work. Hopefully see you and your crew at a race again soon. Yep, I’ll certainly give the Succeed a try. Brilliant end to the season Paul, in spite of navigation/cramp problems. I was using Succeed S!Caps (one every half hour, but I’m 1.5 of you thin guys so reckon it’s safe) – and still had to stop with cramp for a bit a couple of miles from the end. Thanks Andy. Seems a long time ago now – our first chat at the Fling! Brilliant result picking up 2nd overall – well done. Assuming you’ll be back again next year? Great work Paul, shame about the navigational issues. Thanks Mike. Was a little strange you not being there! Good luck for Loch Ness and hopefully see you before next year. Well done from the Hewitson brothers Paul! We met you out training the week before the fling this year and on the day. Saturday was my first RAW – seen you from a distance but never got the chance to catch up. Really enjoyed the race. See you next time. Kind regards, Graeme. Hi Graeme, delighted to hear that the Fling wasn’t a one-off! Well done, a tougher race than expected I thought. I’ll need to look out for you on the start list in future so I can at least say hello! Were you running it on your own then? Another awesome performance bro. You should be very, very proud of what you have achieved this year. I am. P.s I do think you still need to eat a couple of more pies but! Definitely up for a training run – but you will need to slow down a little!